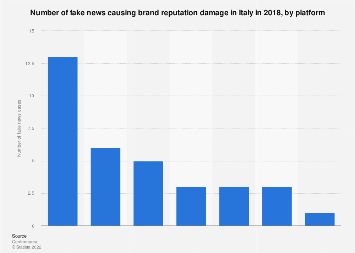 A high level of news literacy is important when it comes to separating fact from fiction and identifying a fake news story. 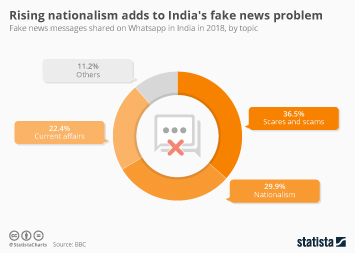 That was an important aspect of the Reuters Institute Digital News Report which examined trust and disinformation in global news consumption. 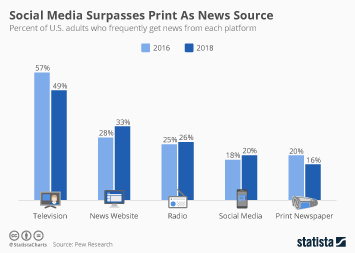 Unsurprisingly, the report found that people with high levels of interest in the news tended to have a higher level of concern regarding fake news. 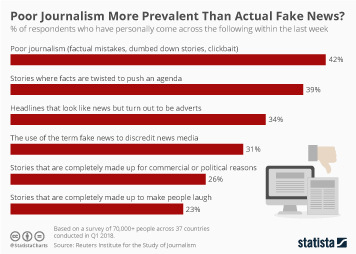 Where news literacy levels were high, people were more likely to identify satirical news stories, spin and examples of poor journalism. 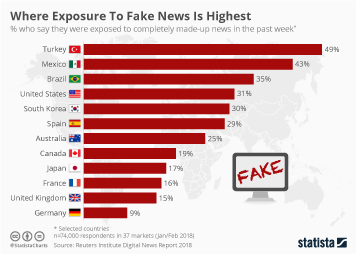 Self-reported exposure to fake news is highest in Turkey where 49 percent of respondents said they experienced completely made-up news in the past week. 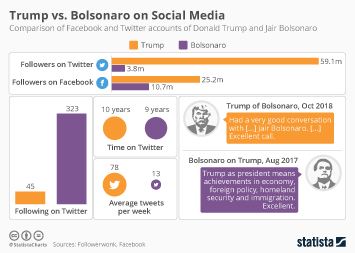 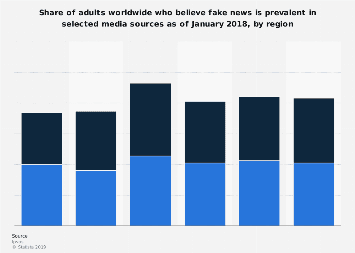 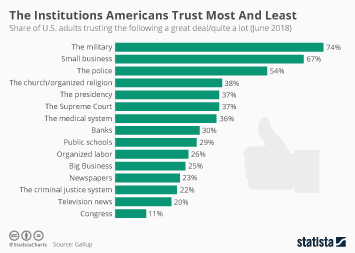 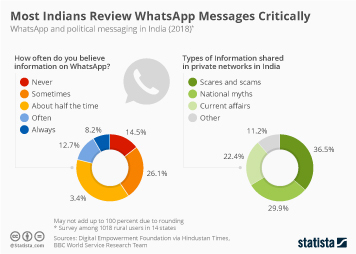 The figure is also high in the United States at 31 percent, though this is hardly surprising given the emergence of fake news during the 2016 election and its prevalance ever since then. 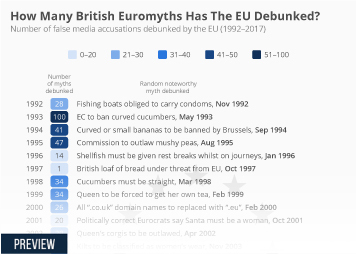 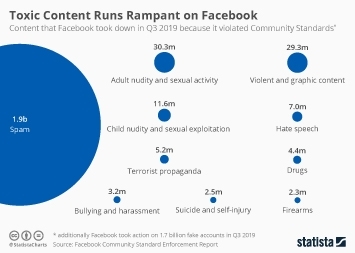 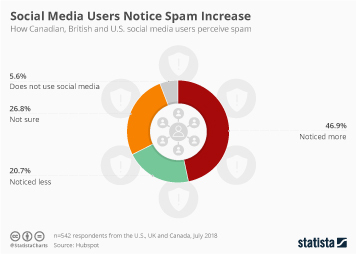 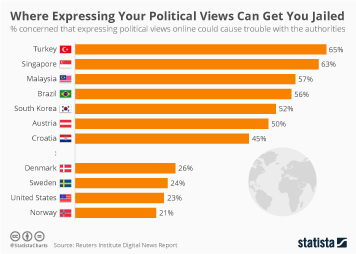 More surprising is the low figure of 15 percent in the United Kingdom, given the level of controversy regarding disinformation during the country's Brexit vote. 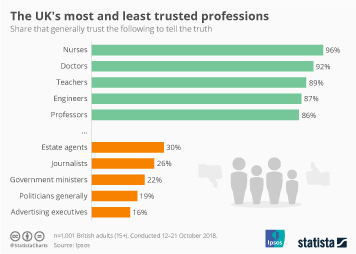 This chart shows the share who say they were exposed to completely made-up news in the past week.